Mother's Day, the day set aside for celebrating mothers of all ages and stages, is May 12. Jared The Galleria of Jewelry is celebrating mothers of all ages and stages in a unique and exciting way with its Mom Moments sweepstakes. In the four weeks leading up to Mother's Day, Jared will feature on its Facebook page one blogger that epitomizes the stages of motherhood — moms-to-be and new moms; moms of young children; moms of older children; and... the mother of all motherhood positions... grandmothers! And I have the pleasure and privilege of representing the grandmother contingent in that feature, which means Grandma's Briefs will be the star of the Jared Facebook page May 6 through Mother's Day. And that means good things for all of us — when we share our tips for grandmothers. 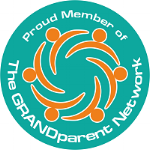 Grandmothers have been through it all — the good, bad, happy, sad, hard, hard, hard work of leading, guiding and protecting those babes in the bassinet as they grow up and head on out the door into adulthood. It's a bittersweet, often heartbreaking but always glorious job. And one reward for the efforts: grandchildren. As the ones with the most accumulated lessons learned on the job, we grandmas have a lot to share about Mom Moments. For Jared, though, we're asked to share our tips for grandmas, what we've learned — for better or worse — in these golden years of motherhood. Details on sharing your tips (and what you can win for doing so) are below. First, I'll share mine. 2) "Grandma" is a supporting role. Your child is now the parent. Step back and support that, whether or not you fully agree with how it's being done. 3) Don't let comparison steal your joy. As mothers, we're the one and only in a child's life; as grandmothers, we're one of — at least — two. It's hard not to compare our grandmother style and time with the grandchildren to what the other grandmother gets. Refrain, for the sake of your heart, your joy, your grandchild. 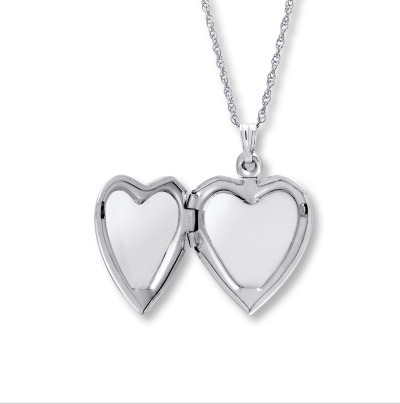 I chose the White Gold Heart Locket because what grandmother wouldn't want an heirloom quality locket in which she can display — meaning, show off — her grandchildren and carry them with her at all times. I see this one as a treasure to be passed down through the generations. I chose the elegant white gold Aquamarine Necklace with diamond accent because grandmothers may no longer be all about the bling, but we love to wear classic, stylish jewelry that makes us feel — and look — extra special. This one would be equally lovely for formal events or relaxed gatherings with family and friends. Enter to win elegant jewelry prizes by “liking” the Jared Facebook page and then registering to enter the sweepstakes by clicking on the “Mom Moments” sweepstakes icon. Prizes awarded each week of the sweepstakes are based on selections of the featured Mother's Day bloggers. You can receive additional sweepstakes entries by sharing your best “mom moments tips” on the Facebook page and by inviting friends to enter, too. During week four of the contest (the week of May 6) the prizes awarded will be selected from one of the two necklaces above. Five winners will be selected to win either one (1) White Gold Heart Locket (ARV: $229.99 each) or one (1) Aquamarine Necklace (ARV: $279.99 each). As the "grandmother" week doesn't begin until Monday, you're encouraged to also enter for the prizes for the current week, too. Also, Twitter users who follow @ThatsJared and tweet using the hashtag #MomMoments will have a chance to win a separate weekly prize — a piece of jewelry they can personalize. One prize will be awarded each week. One lucky grand prize winner will receive a $2,000 Jared The Galleria Of Jewelry shopping spree (awarded as a gift card). The grand prize winner will be drawn on or around May 13, 2013, and notified later that month. When you enter the sweepstakes, please let them know I sent you by entering "Grandma's Briefs" on the “Referred By” dropdown menu (click "blogger or social media source" then enter "Grandma's Briefs"). The blogger who refers the most entries to the sweepstakes will receive a special jewelry prize package at the end of the campaign as a thank you, and I'd be forever grateful to you for helping me win. Good luck! And Happy Mother's Day to one and all, no matter your stage of motherhood! Disclaimer: I received jewelry from Sterling Jewelers Inc. at no cost for participating in this blogger challenge.